Ormus or mono-atomic Minerals were actually being studied in the Soviet Union as early as 1973. In fact, the then Soviet Union was far ahead of the rest of the world in researching water and salt and had already revealed that monatomic minerals were found in sea water and other sources of mined salt. It was only a couple of decades ago that an American farmer, David Hudson, accidentally stumbled upon monatomic gold and other monatomic elements after dousing his fields with sulphuric acid to loosen the mineral salts in his soil. David Hudson coined the term ORMEs (Orbitally Rearranged Monatomic Elements) to describe the strange white powder, incapable of being perceived by the mind or senses that comes from gold, platinum group metals, and other transitional metals. These transitional minerals have not yet "transitioned" into the usual atomic structure characteristic of metallic minerals. The electrons in monatomic minerals exist in what is called a "high spin state". Science refers to these minerals as "exotic" matter, not yet known and not shown on the Periodic Table of Elements. However, new physics indicate that the white powder may not be mono-atomic, but diatomic, or small cluster "condensates". With this, we generally refer to these elements as ORMUS or "M-State" elements. Analysis of m-state elements has disclosed that their physical weight can be decreased to a negative value at specific high temperatures. 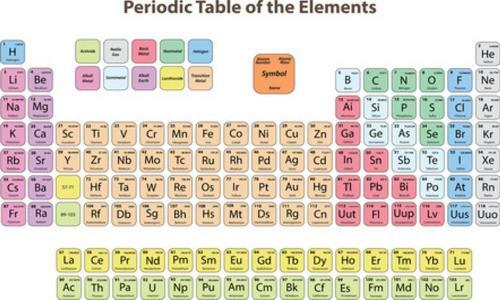 Incredible as it seems, these elements actually levitate! What's more, they can also be coaxed into becoming superconductive, and even to resonate in other, parallel dimensions. There is a growing belief among researchers, that the rediscovery of monatomic elements form a link in what appears to be an unbroken chain that spans across centuries of Earth's history back to antiquity. All of recorded history up to present day revolves around the creation, possession, and employment of monatomic gold. Alchemy, it appears, is not about creating gold from base metals, but turning gold into monatomic, white powder. Monatomic mineral elements cannot be used as supplements as they provide no nutritional support of the physical body. Rather they act as "receptors" receiving the Energy - Life-Force - Consciousness and transmitting it directly to both the physical and subtle energy bodies. Every quantum of energy that manifests here in the physical Creation has a past and a potential future ("The monatomic state occurs when the time-forward and time-reverse electrons correlate around the nucleus of a substance so that its individual atoms cannot bind together as a solid. Instead it becomes a powder of single atoms from the book, Lost Secrets of the Sacred Ark, by Laurence Gardner). By canceling this potential out, the energy quantum drops into the eternal presence of the "here and now." The portal to the worlds or dimensions beyond is connected to the "SOURCE" power that monatomic particles channel or funnel down into Creation. Through this portal is transmitted the unlimited Energy - Life Force - Consciousness, which the monatomic atoms receive and distribute to the organism so to enliven it and allow for optimum functioning, that is, 100% of its biological and spiritual potential. In Creation, all organisms that vibrate below this optimum are considered "diseased", and are soon put up for re-cycling, sent to the back of the bus, so to speak, by the respective agencies of Nature. Only we human beings, due to our higher developmental powers or potential, are given a "free pass" to continue to exist here in the material world, below our potential for some time. What we call human life is actually a state of suffering, as we exist below our potential. The point is, we shouldn't be alive as human beings according to the laws and regulations (precepts) of Nature. 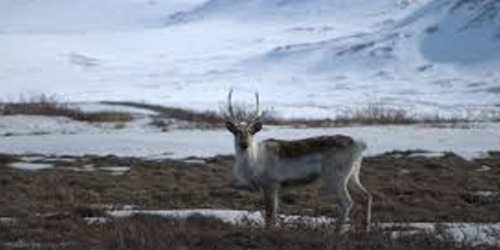 Look at the Caribou of Northern Siberia. They subsist on frozen lichen. How do you account for their being perfectly healthy, giving off normal body heat, having plenty of fatty tissue, etc? How do you think these Caribou produce blood, bone, proteins, amino acids and all necessary requisites to life in the dead of winter, in minus 60 degrees, in almost total darkness, from the little bits of frozen lichen? How do we energetically account for this? Their fully-realized biological potential allows them to access the Life-Force directly, through the minerals in the lichen, channeling it into their cellular structure by means of the natural occurrence of monatomic elements. Monatomic atoms are the "receivers" of all Energy - Life Force - Consciousness in Creation, or for everything considered to be "alive." It's only alive because it has this Life Force working in it. That's why organic farmers worldwide are replenishing their "mineral depleted" soils by adding these elements back in their original form, i.e., rock dust and evaporated ocean solids. But today's oceans have become rich in the depleted minerals and are not the most potent source for monatomic minerals. 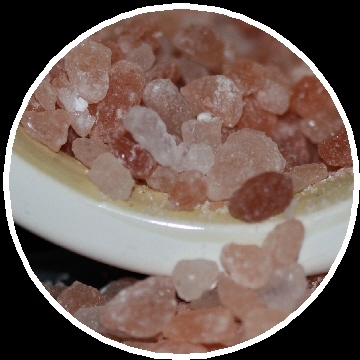 Original Himalayan Crystal Salt is the remains of an ancient, primal ocean of some 300,000,000 (300 million) years ago and the mineral content of the salt, as well as the monatomic elements, are at their highest potentials. The Sun itself is equivalent to a monatomic atom. The physical Sun receives its Energy from the "Sun behind the Sun", which is, in reality, a portal to the "Source" of the Life-Force. The Sun acts as a "step-down transformer" and reduces the Energy, which becomes or manifests as all the "stuff" of the Universe, from subatomic particles to photons and all known elements of matter, starting with hydrogen. Macroscopically, all this stuff takes physical form as planets, interstellar dust, galactic space debris, asteroids, meteors, minerals, etc. Looking at it microscopically, it takes the biological form of living cells and their content. 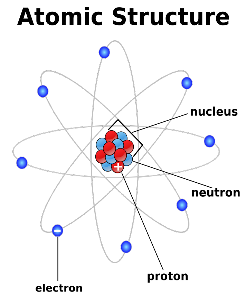 We've all come from the monatomic element. All living organisms are supported both by the monatomic source from the outside, the Sun, and the monatomic elements inside the cells, simultaneously. The macrocosm is in the microcosm. Receptivity to this Energy is dependent on our mental/emotional state. Animals don't have the "mental" overlay or bias that we humans do, therefore, they're always receptive to the Life-Force emitting from the two main supplies, the Sun and monatomic atoms inside the cells. We human beings have great mental activity, therefore, also great emotional distortions. These distortions prevent us from attaining our biological/spiritual potential. It is blocked by strong emotional biases (desires), limiting us from having access to all the spectrum or frequencies available from the Source. We have "tuned in" to specific frequencies, usually of the lower type, which limit our receptivity to the "Life-Force greatly, causing a decline in the organism, (senility, aging, disease, premature death, etc.). Is it a coincidence that a growing child lives in a psychological state of simplistic, innocent happiness, unburdened by the inevitable and impending "fall" into adulthood? Accepting things, as they are, without judgment or desire or personal agenda, creates the Reality, and our ability to resonate with that which exists here and now. That is the portal to the Life Force, the monatomic opening or doorway to the Source. That's why animals have it, children have it, and all things under Nature's control have it. The attribute of monatomic energy is that it exists only in the here and now, because the time-forward and time-reverse aspects of the electrons cancel each other. The only "time" that exists, and ever will exist, is right NOW! Heating a monatomic substance raises its vibration level, which causes it to "jump" into higher dimensions. Analogous to water, which, when heated becomes vapor, invisible, but through cooling, condenses and becomes water again. Eating mono-atomics is like eating receptors to the Life Force. And obviously, the Life Force can manifest any form of matter or energy required. The body can produce all necessary vitamins, nutrients, amino acids, proteins, etc., if it were perfectly receptive. The monatomic minerals complete the scenario. By introducing monatomic elements to our body, we cause a resonant vibration in which the physical make-up of the body is stimulated and harmonized. This "higher" vibration pattern causes the body to become more harmonious with the natural and monatomic vibration patterns of Nature. As this process continues, we undergo a transformation in awareness of past and future, to the limitless and timeless state of NOW, and we perceived everything with this higher state of knowledge and awareness. Uncertainty becomes knowing and life choices intuitively integrate body, mind and spirit, giving way to the ultimate state of health, wellness and longevity.